Classrooms, dining spaces, lecture theaters, breakout spaces and open learning zones. The unique design of the Newton classroom chair features a sliding adjustable seat and an integral footrest to provide ergonomically correct, active sitting for students of all sizes. 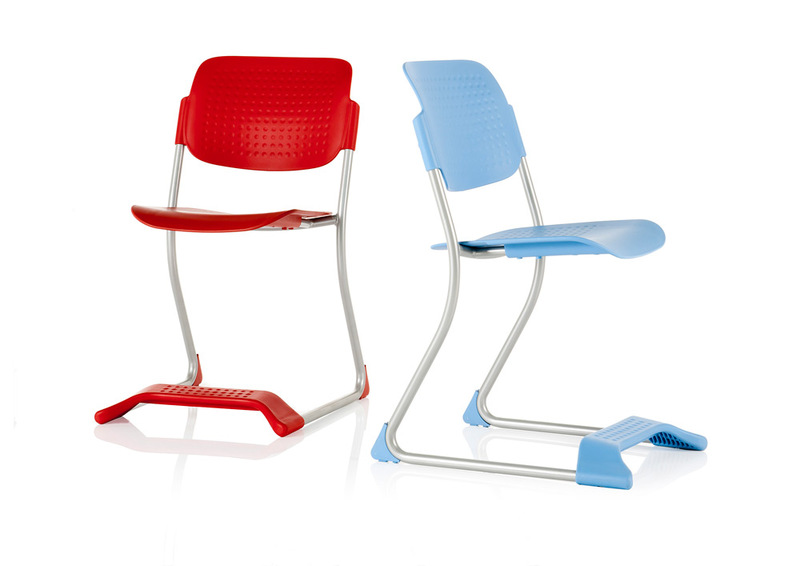 The Newton student chair has two natural sitting positions, a comfortable sitting position and by tilting forward a secondary position with a more upright posture. This second working position straightens the spine and pelvis and leads to improved spinal mobility and blood circulation to the abdominal and back muscles. The Newton seat dimples are designed to relieve pressure points while sitting for long periods. 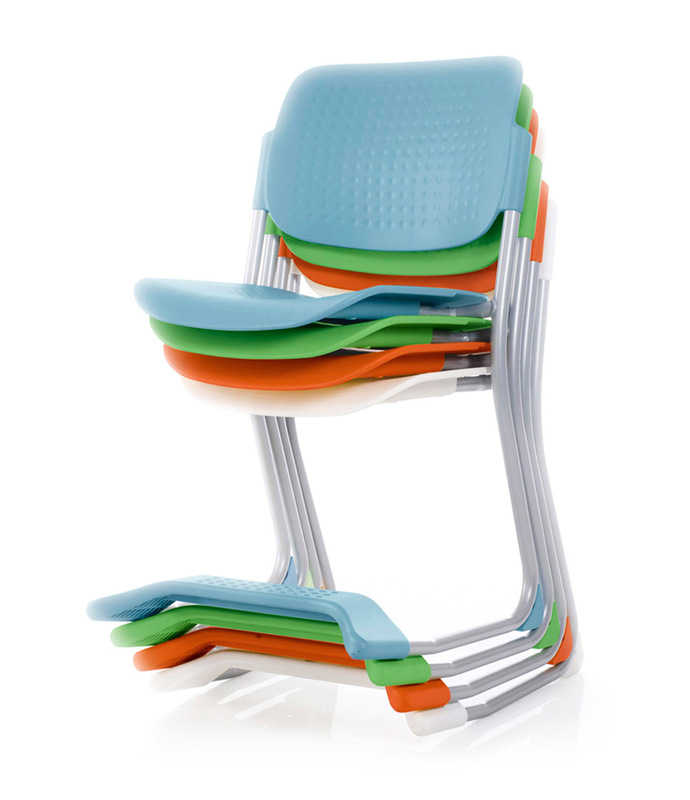 The zioxi Newton student chair stacks up to five high. For classrooms, lecture theatres, breakout spaces and open plan learning zones.